Date nights with Blake are my favorite. Love any excuse to get dolled up. Although, let’s be honest, it’s good to have an excuse to get showered and out of gym clothes these days. 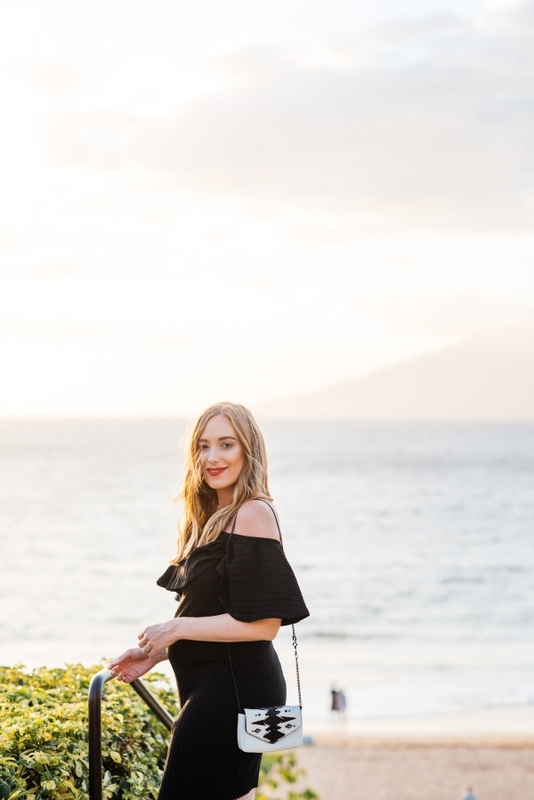 I wore this dress in Maui and it was so light weight and will be perfect for heading into summer. Can be dressed up or down which I love too. Just FYI the material is pretty light weight. I was expecting a more body con tighter knit when it came in the mail, but this is still nice and stretchy but light weight. Hope everyone has a great weekend. I plan to head to the beach and keep reading some of my pregnancy books and maybe start a new one. Will be sharing a list of good reads with you soon! DEMELER - love that dress on you! and so jealous you’re in maui!